Boring diet got you cold? Crank up the heat – and your results – with these spicy suggestions! What word comes to mind when you think about dieting? Most likely it's NOT something that gives you the warm fuzzies. Perhaps you think of starvation, malice or even self-inflicted torture -- and that could be putting it nicely! If these are the feelings that the dreaded four letter word evokes in you, you might be setting yourself up for failure before you even begin portioning out the stale rice cakes. Why? Your general attitude about dieting is one of the biggest factors to your success. Diet got you down? Let's turn that frown around! If you approach your diet with a woe-is-me mentality, then you're going to resent it regardless of the actual parameters. Simply put, negative thoughts produce negative results! So, don't wallow in self-pity because you have to forgo your favorite foods. Instead, shift your attitude to a more positive outlook and take some enjoyment from healthy eating. You'll be amazed at how successful you are! Building a dream body requires sacrifice. And while restricting calories and depleting carbs isn't exactly most people's idea of fun, it is possible to embrace the challenge with enthusiasm and find unique ways to make it fun. Here are 5 tips that you can incorporate today to start your diet off right! 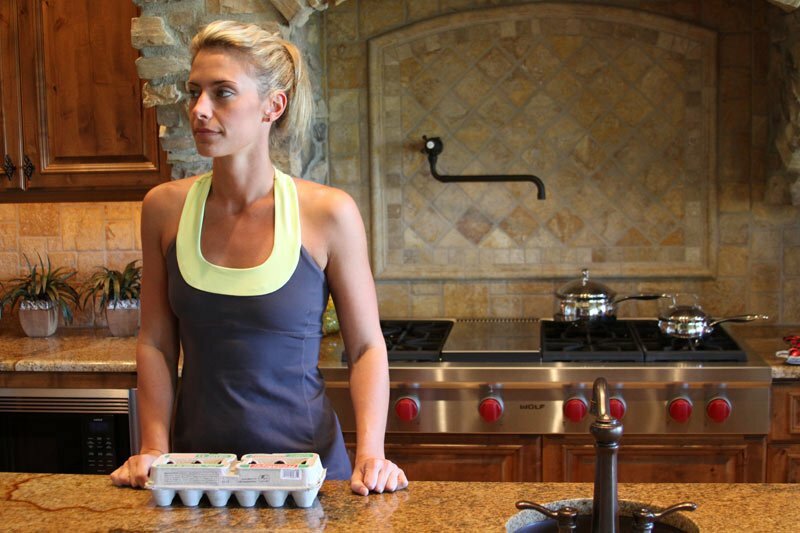 While dieting, you're bound to spend a lot more time in the kitchen prepping healthy meals. Now that eating out is off-limits, it's important to make cooking as enjoyable as possible. Anything that helps you prepare your food more efficiently (Fry Daddy excluded) is encouraged. I suggest assessing your household needs to determine what you'll benefit from the most. For example, purchasing a new grill is generally a worthwhile investment. Quality protein will be a staple for your diet, and preparing it on a state-of-the-art grill will keep you smiling over an open flame. Additional ideas include a slow cooker for making delicious meals in advance, a blender to whip up sumptuous fruit smoothies, or even a cappuccino machine for brewing healthy pick-me-ups. Using nifty slicing-and-dicing gadgets is also a fun way to stay entertained while preparing your grub. Cooking with the right tools will ensure that your healthy food is prepared right and tastes great - one of the biggest make-or-break factors to sticking with your diet. Blank wall? Boring kitchen. She needs gizmos, gadgets, and more. Slicers, dicers, galore! 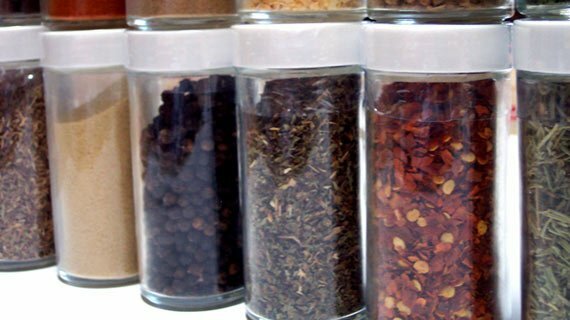 Herbs and spices will become your new best friends when you're in the kitchen. (Sorry, old best friends.) They can be used with so many different dishes and are perfect for lending life to otherwise bland food without piling on extra calories. For instance, sweet potatoes can easily be baked into fries with some cinnamon sprinkled on top for a healthy, sweet side dish. Adding fresh herbs such as dill or parsley to your steamed vegetables is also a great way to enhance their flavor, ensuring that you don't turn your nose in disgust. 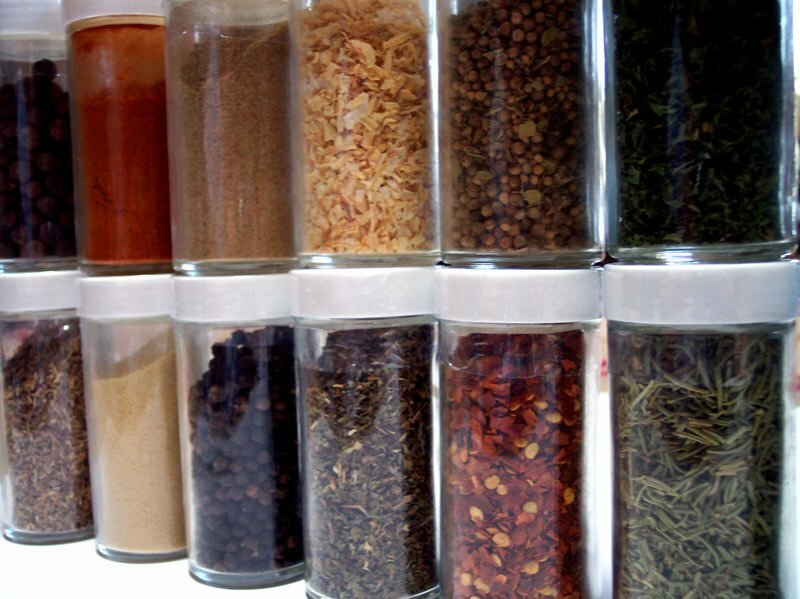 Quality herbs and spices provide a distinct and delightful flavor to prepared foods, so incorporate them into your meals as much as possible. Great ones to try include: basil, chives, cilantro, mint, oregano, rosemary, sage, tarragon, and thyme. Adding a dash here and a sprinkle there will also add some excitement to the process - you'll feel like a real chef as you experiment with your creations. Increase the odds of sticking to your diet by sparking your taste buds' interest with various low-calorie "treats." Low-calorie foods such as sugar-free candies, sugar-free Jell-O, gum, as well as reduced sugar protein bars can calm your cravings and help you stay on plan. Be aware that some low-calorie foods do contain artificial sweeteners or sugar alcohols, which should be avoided whenever possible. However, small amounts are of little concern, and the presence of sugar alcohol or a non-nutritive sweetener omits a ton of natural sugars while maintaining great taste. Be sure to read food labels to find the best option. Indulging in one of these delectable treats on occasion will not only ease your cravings for the real deal, but will also give you something to look forward to throughout your day - translation: fun! 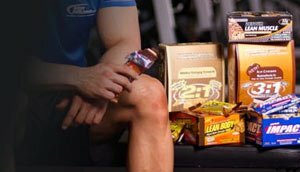 Having a protein bar on hand can help you feel guilt-free by providing a good amount of protein, carbs, and calories. Curb Your Cravings With Protein Bars. Calorie-staggering is a simple trick you can use to make your diet more fun and, in most cases, more effective. Just like the name implies, you'll stagger your caloric intake higher or lower depending on your activity level on any given day. Calorie-staggering helps prevent a metabolic decline (slow metabolism) that typically occurs on a standard long-term, low-calorie diet. While it is important to restrict calories during a fat-burning diet, it is also essential to keep your metabolism operating as high as possible. Increasing your calorie consumption on days you're most active and dropping them on days you're less active is a great way to keep your metabolism firing. Calorie-staggering can make dieting fun because it allows you to add more variety to your plate on the high-calorie/carb days. You're able to eat some foods that you wouldn't on lower-calorie/carb days. This approach is advantageous because it helps maintain energy levels, promotes a healthy metabolism, and makes it much easier to maintain a consistent diet. Calorie-staggering keeps your body guessing, and it also keeps things interesting. Make your diet fun by reminding yourself of the positive changes your body is undergoing. Pinching your stomach, scoping yourself out in the mirror, and taking body-fat measurements are all enjoyable (and useful) ways to watch the inches vanish from your frame. But don't forget, it's the inside that counts. By eating healthier, you're also boosting your energy levels, supporting your immune system, enhancing your insulin sensitivity, and simply promoting a well-functioning body. Gym Etiquette 101: look hot, act cool. By recognizing the positive effects that dieting has on your body, both inside and out, you will be more likely to enjoy the process as a whole. Being in tune with your body by identifying the external and internal benefits will make the diet more meaningful to you. As some point, you'll realize that it's no longer a diet, but a lifestyle. Once it becomes a lifestyle, you've got your fat-loss goals locked down. Your "diet" will become second nature, and nature is wild.